View north from near to the Moss past Inchmulloch Hill right of picture to the large unnamed forest on the horizon which is next to Darnagie Hill. 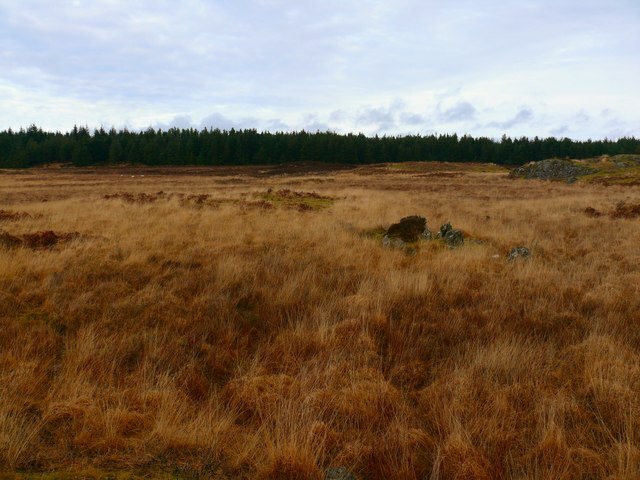 The ground here is extremely difficult to cross following recent rain storms that have created hundreds of small burns across the moors. Full waterproofs made no difference when I was waist deep in water.